A little blog-keeping: don’t forget you have until midnight on the 19th to enter to win tickets to Yellowcake’s Hullabaloo Fashion Show! This past week brought the feeling of Fall in Cleveland and I can’t lie that it made my heart happy. The cooler weather, sweaters and a weekend full of happiness. Saturday, Kimberly and I ventured out together to Beachwood to one of our favorites – Saks Fifth Avenue. For Fashion Night Out, we (Kimberly, Nadine and I as well as other CLE Bloggers and Saks customers) were invited to attend a progressive dinner and sneak peak at upcoming trends for the Fall and Winter. We were also invited by Estee Lauder to come back and have facials and a make-up application. Neither of us were going to turn down a facial and it was needed. Some girl time, fun makeup and relaxing was the perfect way to spend a Saturday afternoon. Saturday evening, I hauled it out to the East Side (which everyone knows that I rarely do….I can make it to Little Italy/Cleveland Heights and then I get lost) for Chefs Unbridled to help out the Hodge’s Cleveland crew. What a fantastic event for an awesome organization. I ran into a few familiar faces (and there may have been an experience where someone pretended to be a puma…I have no words for what went on at that point). Fieldstone Farms is one of the largest therapeutic riding centers and seriously gorgeous. There are a wide variety of programs people can be involved with, as well as opportunities to volunteer. Check it out and see if this is an organization you’d like to get involved in! Sunday…well it was Browns day and if you take a look at the score, you can imagine the mood I was in due to it. There’s always next week, right? 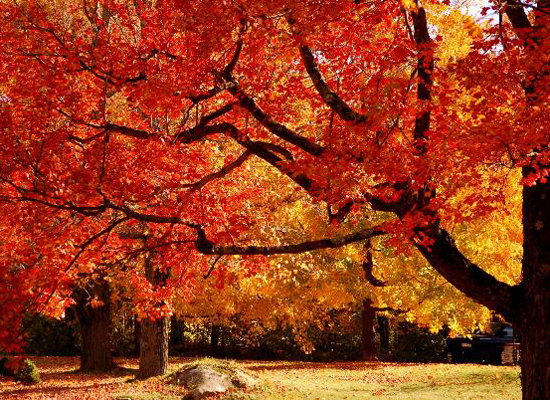 What’s your favorite way to spend a Fall Weekend? This entry was posted in Uncategorized and tagged Changes, Fall in The CLE, Foodie, Friendship, Giving Back, Memories, The CLE, Transition, Wine Me. Bookmark the permalink. Puma? Who would ever do that?! So glad you made it out to the eastside for Chefs Unbridled. Loved meeting you…even though it was far too brief. Sounds like a lot of fun – the weather was fantastic for all sorts of outdoor fun this weekend. We had Scott’s mom and grandmother in town and hit up Sparx City Hop and the Tremont Art/Cultural Festival on Saturday. Very happy that Fall is here!